Use wood ash wisely. That's the advice from WTOP Garden Editor Mike McGrath as he warns a little bit of ash can work wonders in a garden while large amounts can cause serious problems. A little bit of ash can be a good thing Bob; but large amounts can cause serious problems. Wood ashes are a great source of phosphorous, the “P” in the “N-P-K” numbers you see on every label of every fertilizer sold today. Although old-timers will often refer to any form of phosphorus as “potash,” (because the fertilizer was originally created by burning wood and other plant material in a pot) you have the real potash deal! Bob over in Wardensville needs help using his abundant supply of wood ashes in the garden. The phosphorus that is the prominent nutrient in wood ash is responsible for increased flowering and fruiting; phosphorus-heavy fertilizers in general are often used to perk up plants that are blooming poorly. Bob can use a little bit of his ash for this purpose, but not a lot. A quarter (medium sized plant) to a half cup (big tree) of ashes spread around the base of a plant, and then covered with some compost or soil, should increase the numbers of flowers and subsequent fruits over the next three to five seasons. But larger amounts can be harmful to plants. 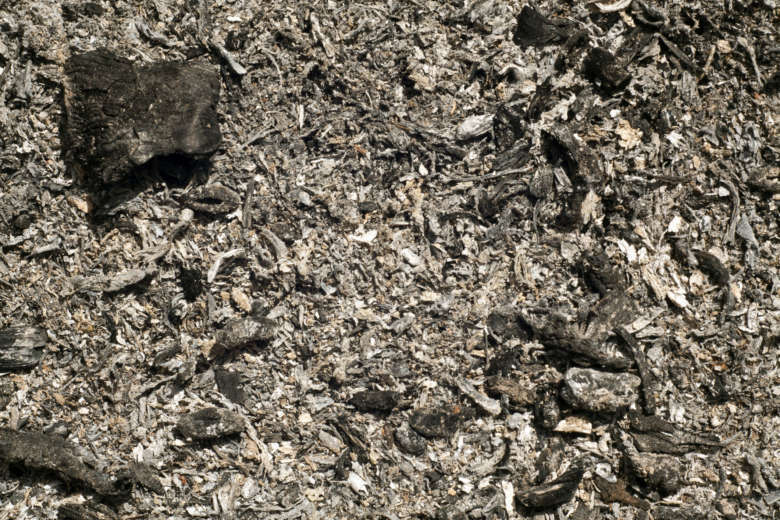 And because it’s a very slow-release mineral, the phosphorus in wood ash remains active in the soil for a long time, so it’s not something you should use every season. And you won’t see immediate results; it takes a couple of months for potassium to become available to plants. But it should then keep feeding those plants for at least the next three seasons. Although the phosphorus in wood ash can be beneficial to some flowering plants when applied in small amounts every couple of years, it can be death on a stick to plants that require an acidic soil, like azaleas, rhododendrons, camellias and blueberries. These plants require a soil that’s lower on the pH scale than naturally occurs in our region — so we add things like Holly-Tone, peat, moss or sulfur to lower the pH of their soil. Wood ashes have the opposite effect — their extreme alkalinity can stress or even kill acid-loving plants. Bob has limited uses for wood ashes in his garden. But his lawn may be a different story. Lawns prefer a slightly acidic to neutral soil — 6.5 to 7 on the pH scale. But many of our soils are more acidic than that, especially in regions affected by acid rain. Most homeowners spread agricultural lime to neutralize this acidity, but wood ashes are almost as alkaline as that lime — and if you burn wood for heat, they’re free! If a soil test tells you to spread a certain amount of lime, substitute wood ash in slightly larger amounts: 1.3 pounds of hardwood ash per recommended pound of lime. Bob in Wardensville wants to know how to use his huge store of wood ashes in the garden. You can apply 1/4 to 1/2 cup of hardwood ash to the soil underneath perennial plants and flowering trees that are blooming poorly. Cover the ash with some soil or compost to make its nutrients more quickly available to the plants. You can also add wood ashes to composted manures to balance out their nutrient content. Use small amounts for cow manure (which is already well-balanced), a good amount for composted horse manure (which is high in nitrogen) and an even larger amount with chicken manure (the most nitrogen-rich of the barnyard manures). Mix the ash well into the manures and then let the mixture sit for a week or two before using near plants. You can apply hardwood ashes to your lawn instead of agricultural lime when a soil test reveals that the pH needs to be adjusted upward. But do not use wood ash anywhere near plants that require an acidic soil, like azaleas, rhododendrons, camellias and blueberries. Meet Mike in Fredericksburg in March! Mike will appear Saturday and Sunday, March 17 and 18 at the Fredericksburg Home & Flower Show at the Expo Center in Fredericksburg, Virginia; Saturday at noon and 3 p.m., Sunday at noon and 2 p.m.
Special note: So far, this is Mike’s only scheduled D.C.-area appearance this spring!